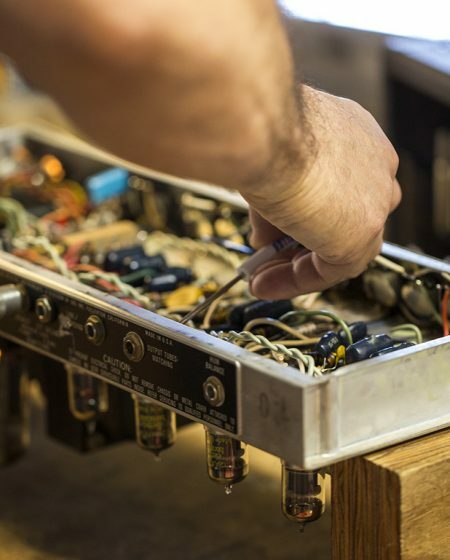 Guitar Repair & Restoration and Guitar Electronics Repair and Upgrades are bundled to offer a thorough understanding of instrument repair for acoustic and electric stringed instruments. Students are encouraged to bring one or more instruments to work on in the hands-on portion of this class. The student will learn to achieve the best possible sound and reliability for an instrument and acquire valuable skills in the workshop. 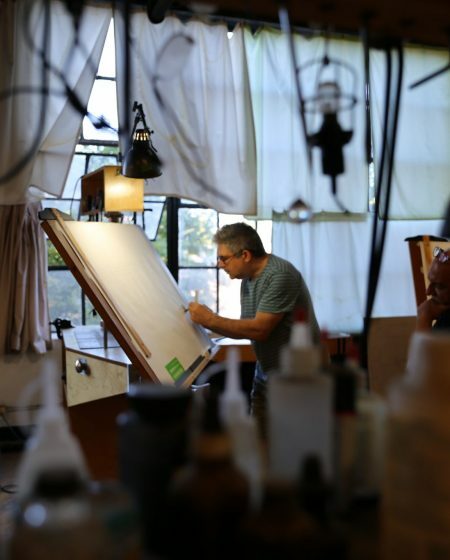 Each class is divided into part lecture and demonstration and part hands-on work and training. Hands on work gives students an opportunity to learn through application and develop skill as they work on their own instrument. Here is an indispensable knowledge base for the instrument repair technician, guitar builder or for anyone interested in instrument restoration or repair. 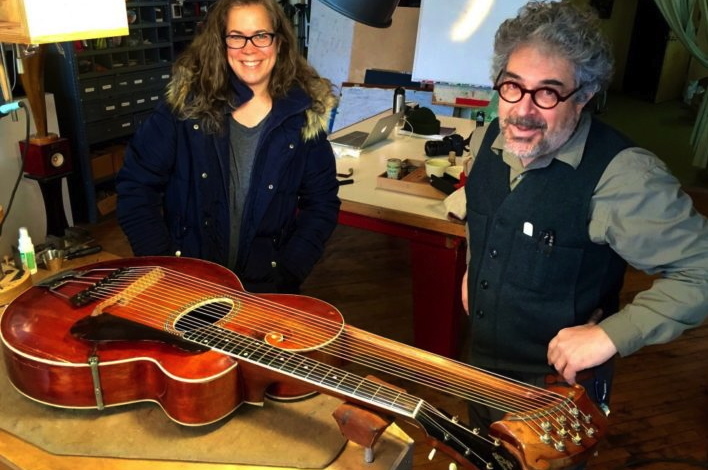 Fee includes instruction, reference material, and a hands on workshop with use of a luthier workbench, specialized tools and shop supplies. Shop supplies required to complete projects in this workshop are provided and are included in the fee. Any materials, components or hardware the student chooses to use for their repair project are not included in the fee. The instructor will be available to advise on items to purchase either through the school or on one's own. 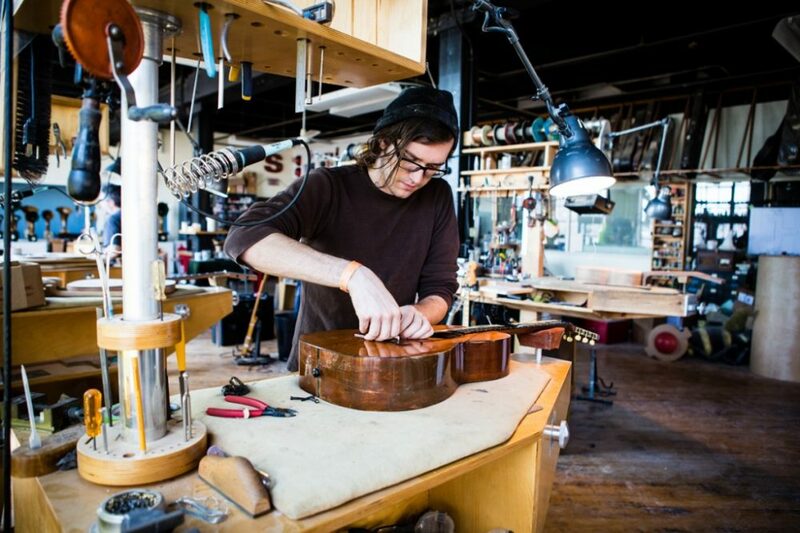 This course presents essential procedures for a variety of repairs addressing damage, aging, and wear on any stringed instrument – acoustic and electric – in a hands on workshop. 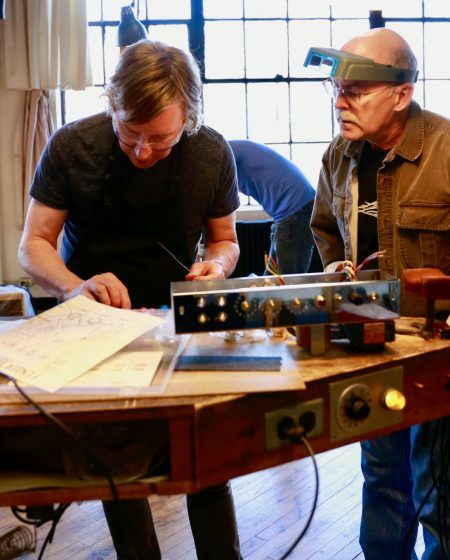 The skills and knowledge base shared in this course are a must for the guitar builder, instrument repair technician, or anyone interested in instrument restoration. 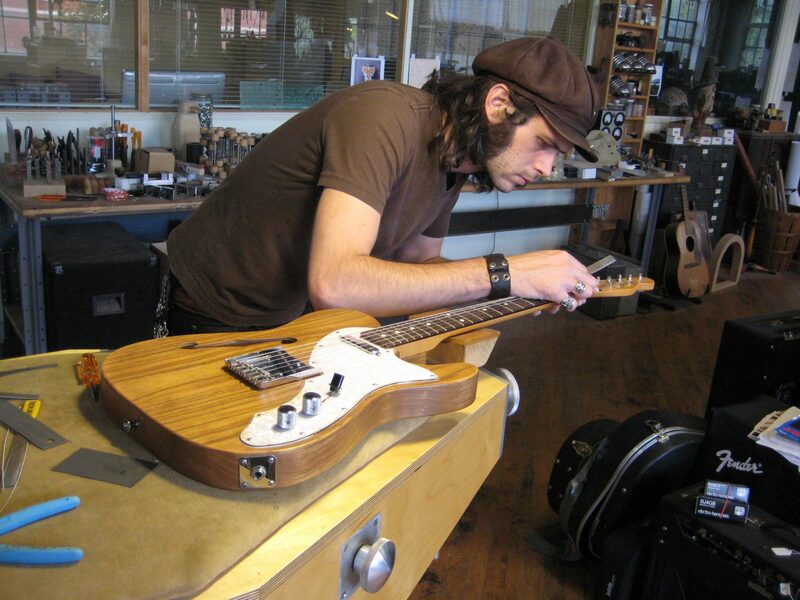 This course teaches troubleshooting, component installation and repair techniques for both electric and acoustic guitars and string instruments.